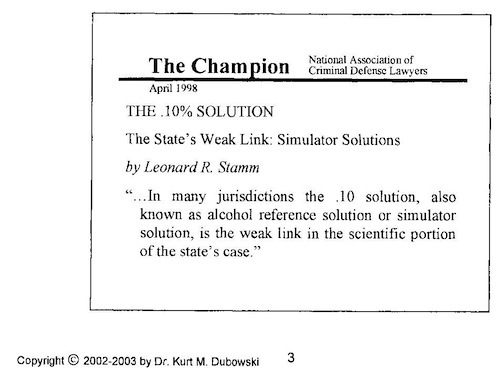 At the Borkenstein course in May, 2003, Stamm was included in Dr. Kurt Dubowski's powerpoint presentation. 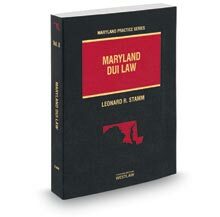 Dubowski claimed that Stamm's 1998 Champion statement was wrong, unsupported by any evidence, and not published in a peer-reviewed journal. 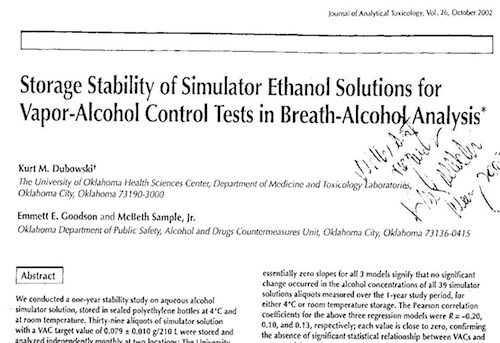 In response, Dubowski studied the storage stability of simulator ethanol solutions and concluded that the ethanol content in a sealed solution remained essentially the same over the course of a year. Stamm's criticism in the Champion article was not about the stability of the solution, it was primarily about failure to keep adequate records, a problem that continues today. The Borkenstein instructors agreed that defendants should have full access to all of the information available to the state experts. 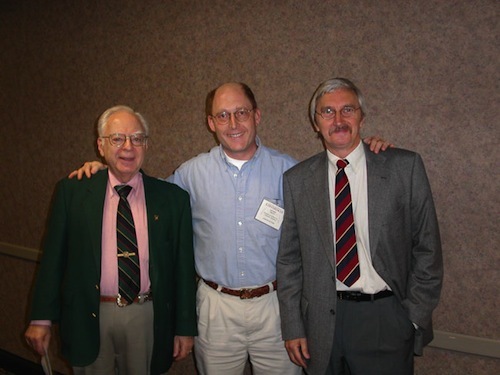 Stamm is pictured here with Dr. Dubowski on the left, and Dr. A.W. Jones, at right.